A Pit Furnace is a specially designed furnace used for minimum heat loss and operates at various temperatures in fuel-fired or electric powered configurations. They are extremely easy to operate and control. Meta Therm Furnace Pvt. 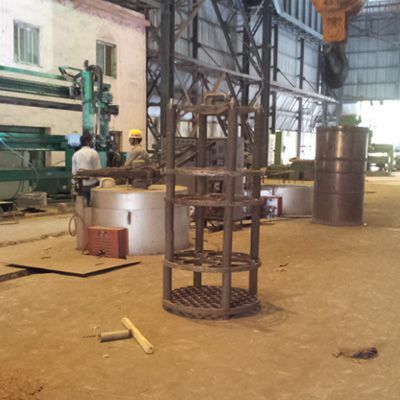 Ltd is one of the remarkable Pit Furnace Manufacturers in Mumbai that have engineered advanced products with optimum thermal efficiency and long serving life. High-Quality Insulation: This Vertical Pit Furnace is designed as per their need in a specific industry or application and is known for their high-insulating feature. Rugged And Reinforced Shells: The shells used in Industrial Pit Furnace is made of a particular kind of material, which is strong and unbreakable to ensure their long and hassle-free performance. If you really want to buy and have any particular demand, you are free to have words with our executives. As one of the paramount Pit Type Furnaces Exporters and Suppliers In India, we will make sure that you will get only the best from our ends. Our executives will provide the best support to ease your buying decision.